With the dramatic capsizing in the early afternoon of the maxi-trimaran Banque Populaire IX, and after the possibly final stops of Thomas Coville (Sodebo) and Sebastien Josse (Edmond de Rothschild), the Route du Rhum - Destination Guadeloupe takes Suddenly look like Atlantic race match between the last two tenors of the Ultim Class. 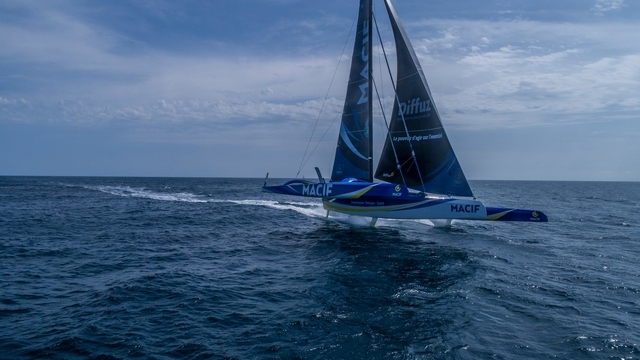 The step of two initiated by Francis Joyon and François Gabart since the passage to Ushant continues today by a duel of eminently tactical tackings, in the north of Madeira, between the two leaders of the race. Obviously, the two solitaries share the same analysis of the very complicated weather situation to come to join the trade winds, and maneuver way in all similar points to find the saving point of passage south of the anticyclone. 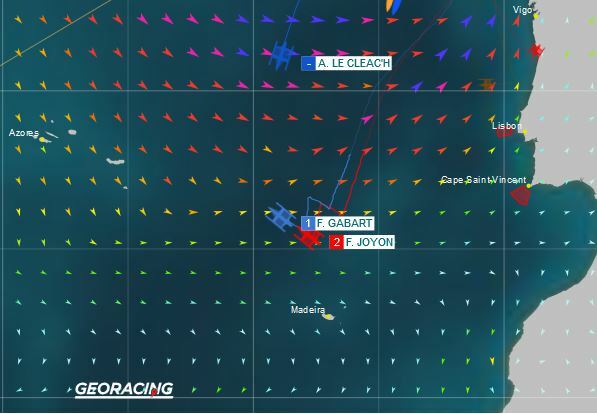 With two tackles each to their credit today, Francis Joyon and François Gabart have begun with a perfect synchronization their descent under the archipelago of the Azores. On a sea always strong, with hollows of more than 4 meters, and in a very unstable wind, much less strong than what knows the fleet in the Bay of Biscay, the two skippers start the most strategic part of this beginning of race, namely the transition to trade winds. Nothing very definitive in the scheduling of weather systems and Francis admits to look for a mouse hole through which to escape to more established winds. 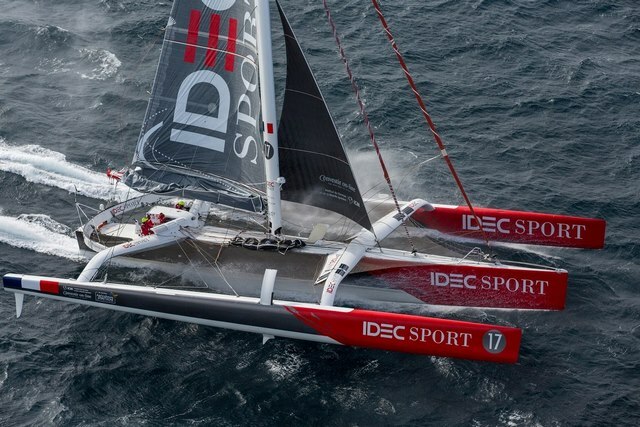 The piloting remains for the moment acrobatic, on a maxi-trimaran IDEC SPORT well fleeing, and which "very easily raises the paw", amount often on its leeward float. Fortunately Francis was finally able to pass Cap Finisterre and take some rest in very short slices of sleep. A little DIY awakening and Francis was again on the attack, under high mainsail and J2, this genoa very versatile. "I was told just before the departure the story of Tibetan monks who never slept, and were content with simple moments of drowsiness, holding noisy objects that, falling on the tile of their cell, woke them up immediately . These brief moments of falling asleep are more recuperative than any other form of sleep, and all the better, because from the beginning, I only knew that! "